Doc.ai expects to roll out three natural language processing modules in the next 12 months. Palo Alto-based computational linguistics company doc.ai has developed a platform for medical companies to enable patients to have personalised, artificial intelligence (AI)-powered conversations about their health at any time of day. The company yesterday launched its advanced natural language processing technology platform using the blockchain to timestamp its datasets and decentralise AI. Doc.ai was founded by entrepreneurial duo Walter and Sam De Brouwer in 2016. The company raised seed funding from Comet Labs, F50, Legend Star and S2 Capital, and has several prominent clients. Envisioned and built by scientists from Stanford and Cambridge universities, doc.ai says it is well-positioned to help healthcare companies improve patients' care and experience by creating the most advanced natural language dialogue system that generates insights from combined medical data. "We are making it possible for lab tests to converse directly with patients by leveraging advanced artificial intelligence, medical data forensics and the decentralised blockchain. We envision extensive possibilities for the use of this technology by doctors, patients and medical institutions," says Walter De Brouwer, founder and CEO of doc.ai. Deloitte Life Sciences and Healthcare is working with doc.ai to test its Robo-Hematology solution, which was unveiled last month at Deloitte University in Dallas, Texas. "Doc.ai's AI-based doctors provide answers to health questions using an AI-powered platform," says Rajeev Ronanki, Deloitte Consulting principal of life sciences and healthcare. "Platforms like these open new possibilities for patients and medical organisations by providing more personalised, intelligent healthcare. We are excited to collaborate with doc.ai and to be at the forefront of this technology." Over the next 12 months, doc.ai expects to roll out three natural language processing modules - Robo-Genomics, Robo-Hematology and Robo-Anatomics - to medical providers. Working with medical companies, doc.ai's AI technology is designed to use a decentralised, edge-learning network to develop insights based on personal data. An edge-learning network performs deep learning computations at the edge of the network or on a mobile device. Doc.ai's AI technology personalises conversations with patients on their health data via a mobile app, and is available to provide information 24/7. The patient can ask the AI questions such as "What should be my optimal Ferritin value based on my iron storage deficiency?" or "How can I decrease my cholesterol in the next three weeks?" or "Why was my glucose level over 100 and a week later it is at 93?" AI provides the answers and additional context for each answer, says doc.ai. It adds that patients can leverage conversations with the AI-powered robo-doctor to achieve better health outcomes from consultations with their physician. According to the World Health Organisation (WHO), there is a shortage of over seven million physicians, nurses and other healthcare professionals worldwide, and the gap is widening. Doctors are challenged to respond to the growing needs of the population, while keeping abreast of the latest developments in medicine and healthcare. Further, training doctors, nurses and other healthcare professionals is an arduous process that requires years of education and experience, says WHO. 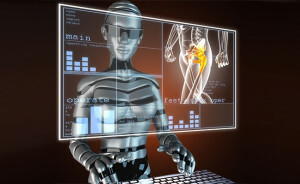 Artificial intelligence can help address these challenges while improving patients' care and experience, says doc.ai. To power its platform and incentivise the community, doc.ai will create digital tokens, named Neurons (NRNs), based on the ERC-20 standard. The company will sell and issue simple agreements for future tokens (SAFTs), which will convert into NRNs upon the launch of the platform. SAFTs will initially be available through a pre-sale process that is expected to start on 7 September. The crowd-sale process is expected to start on 28 September. The total number of NRNs to be created will be based on the number of neurons in the human brain, 86 billion. A total of 860 million NRN will be created, with one NRN representing 100 neurons in the human brain. Approximately 37% of the total number of NRNs is expected to be sold in the SAFT offering. Doc.ai plans to use the funds raised from the sale of SAFTs to further develop its platform and technology.